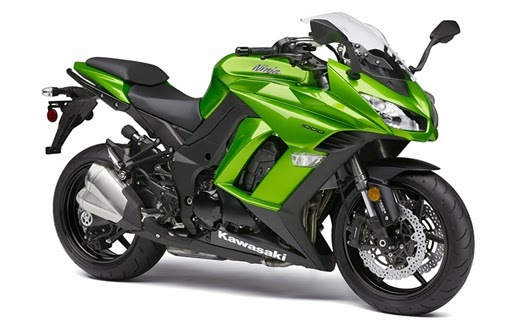 Specification and Price Kawasaki Ninja 1000 - Kawasaki introduced the new generation Ninja 1000 sport touring. 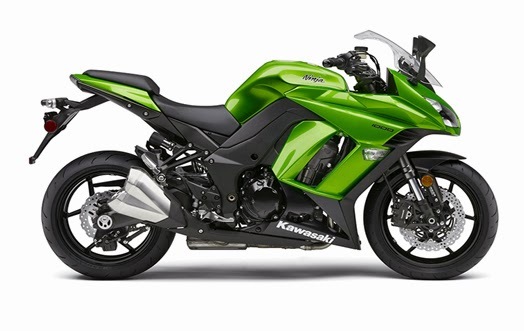 Kawasaki offers some revisions specifications and features in almost every part of Kawasaki Ninja 1000 2014. Appearance Kawasaki Ninja 1000 2014 looks very natural and with new designs that appear together and more aggressive as the ZX-10R super sport. 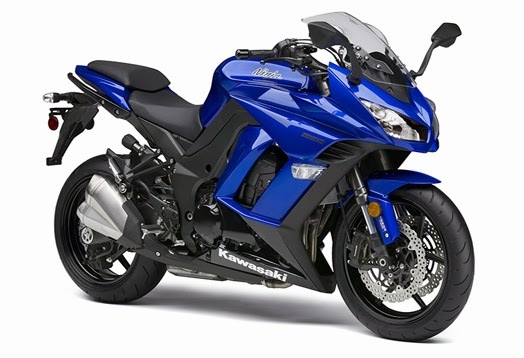 But, despite performing with a new design, the Kawasaki Ninja 1000 2014 still maintaining his personality. With the rear subframe more streamlined, The back of Bike now more compact and will put a box on the side-by-side better. Rake/Trail : 24.5 deg / 4.0 in. Front Suspension / wheel travel : 41 mm inverted cartridge fork with stepless compression and rebound damping, adjustable spring preload / 4.7 in. Rear Suspension / wheel travel : Horizontal monoshock with stepless rebound damping, remotely adjustable spring preload / 5.4 in. Fuel Capacity : 5.0 gal. Seat Height : 32.3 in. Curb Weight : 509.4 lbs. Overall length : 82.9 in.